Gogoprint, a Bangkok-based online printing service, announced today it has launched in Indonesia and will be serving Jakarta. Euginia Budiman was appointed Country Head for Indonesia and hopes to help Indonesians receive access to printing with no fixed costs that can handle low-volume requests. Gogoprint is making the move because they believe the printing industry in Indonesia is slow to transition online and believe they can help kickstart the move to the digital economy. In October 2016, Gogoprint launched in Malaysia and a year later went live in Singapore. 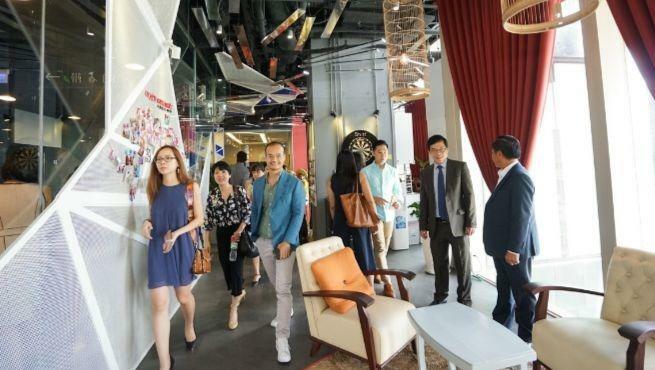 The Vietnamese co-working space Toong announced today it is expanding into the hotel space through a joint venture with Indochina Capital. The deal will result in new Wink Hotels incorporating a Toong co-working space into their infrastructure. The first such example of this partnership is expected to launch in Q4 2019 in Ho Chi Minh City. Long-term, Wink plans to roll-out 20 hotels in Vietnam and its neighbouring countries over the next five years. The Wink brand is fairly new and is targeting young professionals who want a touch of luxury in their travel but also a connection to contemporary design and culture. Two weeks ago, Toong also announced its first international expansion with a space in the capital city of Vientiane in Laos. The Indonesian ride-hailing company Go-Jek is considering spinning off its lifestyle offerings — dubbed Go-Life — into a separate company, according to DealStreetAsia. The services under Go-Life — such as massages, home cleaning, beauty and automobile maintenance — have become a very successful part of the Go-Jek umbrella and spinning-off the brand would give it more autonomy in fundraising, direction and marketing efforts. Dayu Dara Permata told DealStreetAsia that firm plans for the transition (or if it will ever happen) have not been fully hashed-out, but Q2 2017 will be a decision-making period regarding the future of Go-Life. Alibaba has increased its already-significant stake in Lazada with a US$2 billion investment announced today. While the total ownership stake is undisclosed but the previous number was an 83 per cent stake. As part of the deal, Max Bittner, the Founding CEO, will be replaced by Alibaba Executive Lucy Peng. After acquiring a controlling stake in Lazada in 2016, Alibaba has essentially taken full control of the e-commerce brand and has invested a total of US$4 billion in the venture. Ride-hailing in India may be grinding to a halt for the near future as drivers for Uber and its local rival Ola went on strike Monday to demand higher pay, according to Reuters. The timeline for the strike is “indefinite” and is a reaction to an increase in new drivers and a cutback on incentives — two factors that have hurt the pockets of Ola and Uber drivers. The strike is led by the political party Maharashtra Navnirman Sena and is centered in Mumbai. However, the party expects drivers in New Dehli, Bangalore, Hyderabad and Pune to participate. The post Today’s top tech news, March 19: Gogoprint expands to Indonesia and Toong adds hotels to its co-working network appeared first on e27.